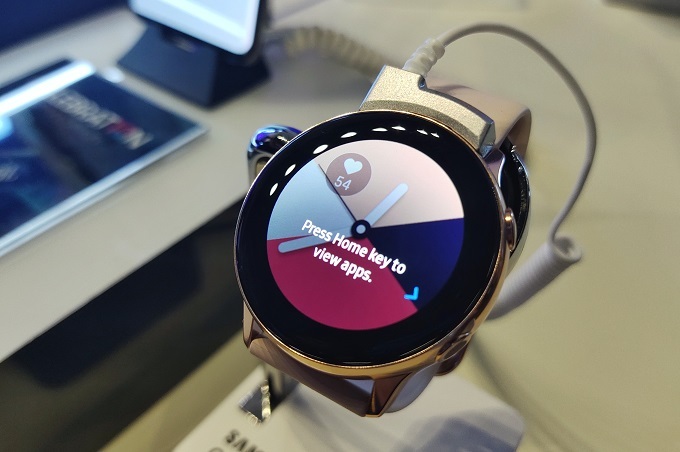 Samsung Galaxy Watch Active is sleek yet powerful. It detects stress levels and blood pressure. 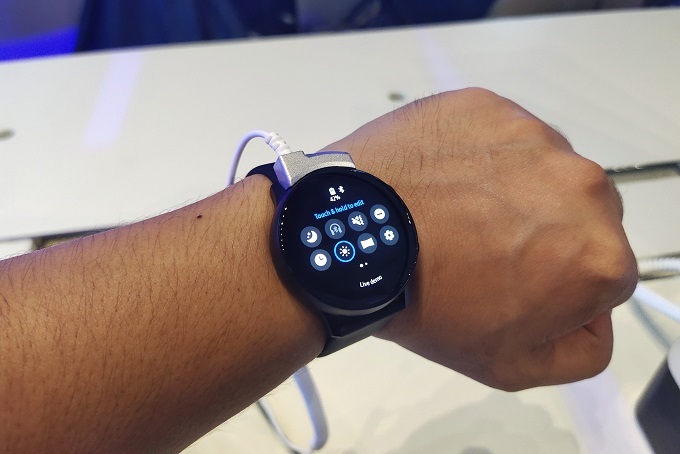 Samsung Galaxy Watch Active is now officially released in the Philippines. 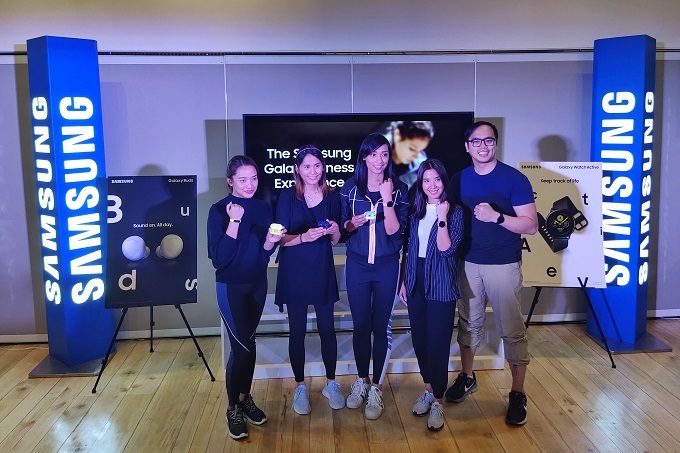 The company intros its new line of wearables in an action-packed event held at Pretty Huge Obstacles in SM Aura Premier. The Samsung Galaxy Watch Active is basically a shed-down version of the Galaxy Watch. No rotating bezels can be found this time, but the wrist computer is even more powerful. It can detect common workouts like running, biking, rowing, and using the elliptical trainer. Samsung says you can manually select up to 40 different workouts. On top of that, the Galaxy Watch Active can monitor your stress levels and blood pressure. The smartwatch can also detect four stages of sleep. Specs-wise, the Galaxy Watch Active is powered by the Exynos 9110 Dual-Core AP. There's a 768MB of RAM and 4GB of internal storage. Its 1.1-inch Full Color display is treated with Gorilla Glass 3. This Tizen-based watch packs a 230 mAh battery which supports WPC-based wireless charging. This means that you can charge it using your Samsung Galaxy S10. The Samsung Galaxy Watch Active is now available nationwide at PHP 11,990 in Rose Gold and Black hues.